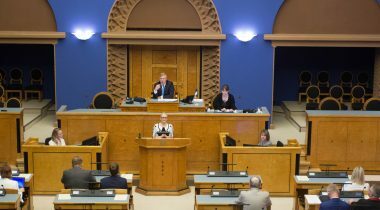 At today’s plenary sitting, deliberation of the matter of significant national importance “Is the birth of the first child at risk?” was held at the initiative of the Riigikogu study committee to solve the demographic crisis. The speakers offered solutions on how to raise the birth rate and to improve the welfare of both children and parents. The Chairman of the study committee Siret Kotka-Repinski said that the parliamentary working group on population policy had completed a document “The Fundamentals of the Population Policy 2035”, that listed the major spheres impacting the decision to have a child. 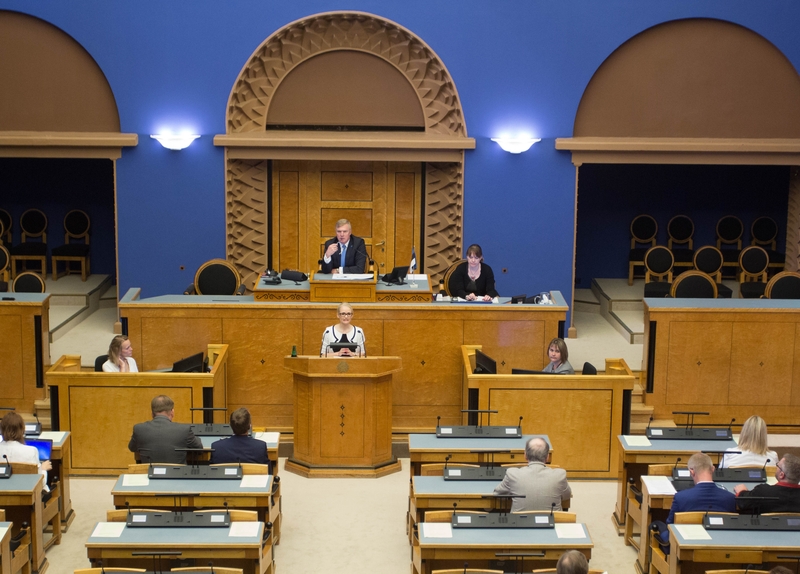 Kotka-Repinski said that the document was ready to be submitted to the Riigikogu, and expressed a hope that it would be adopted during the current parliamentary term. “It would be a long-term political agreement on aims and spheres of activities that would enable us to create an environment that favours having and bringing up children,” Kotka-Repinski said. Mare Ainsaar, Senior Research Fellow in Sociology and Social Policy at the Institute of Social Studies of the University of Tartu, pointed out in her report that parents in Estonia wished to have children, and attention needed to be paid to the reasons why the wishes did not become reality. Ainsaar said that Estonian family policy had been reasonable, but ensuring stable funding and the consistency of the policy were a problem. “Economic subsistence is important to parents in Estonia. Now, if we want to achieve a higher birth rate, this involves many factors. Besides economy, there are also child care, work, and place of residence, and more often than not they must be met at the same time for parents,” the research fellow said. Dagmar Kutsar, Associate Professor in Social Policy at the Institute of Social Studies of the University of Tartu, said that the social fundamental rights of children were not equally guaranteed in different regions of Estonia. The availability of services, the amounts of benefits and the number of specialists varies. “There is a need for specialists with outstanding academic social work education who notice the emerging social problems in society, who are analytical and can assist people who find themselves in novel situations at any age and systematically, and who are competent to work with children and the environments surrounding them,” Kutsar stated. Taavi Tamkivi, leader of the Fathers’ Forum and a father on parental leave, said that obstacles to having more than two children were economic and cultural. As an example, Tamkivi mentioned nursery school fees. His family was due to pay about 10,000 euro for the fees over ten years for their four children. He made a proposal that the state should pay the nursery school fee for third and fourth child, because starting from the third child, the economic setback for the family was greater than with the first two children. In Tamkivi’s words, the mindset that a family had two children also had to be changed. “If I go to spend time at a spa with my children, then it says in small text: buy a family package, a family includes up to two children. Is a family with three or four children a deviated family or what?” Tamkivi said. During the debate, Martin Helme (Estonian Conservative People’s Party), Monika Haukanõmm (Estonian Free Party), Yoko Alender (Reform Party), Priit Sibul (Pro Patria and Res Publica Union), Jevgeni Ossinovski (Social Democratic Party), Peeter Ernits (Centre Party), Igor Gräzin (Reform Party), Raivo Põldaru (Estonian Conservative People’s Party), Henn Põlluaas (Estonian Conservative People’s Party), Siret Kotka-Repinski (Centre Party) and Mart Helme (Estonian Conservative People’s Party) took the floor.